Jennifer Bowman is an award winning northwest artist who has been exhibiting and competing professionally for the past 16 years. Her paintings focus on colorful market scenes, images of bougainvillea-draped buildings, and realistic renditions of the cruising community’s yachts in tropical settings. 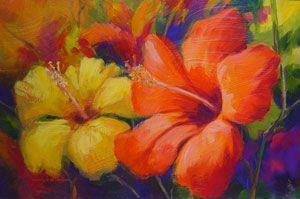 She presently teaches and paints in her hometown of Anacortes, Washington, gateway to the San Juan Islands.